CASTRIES — Since gaining independence in 1979, the island of St. Lucia has struggled with financial disparity and occupational inequality. The island’s population of 180,221 people relies heavily on the production and exportation of bananas and the tourism industry, the two main pillars of the economy. However, both of these industries have been negatively impacted by natural disasters, including Hurricane Tomas of 2010 and Hurricane Matthew of 2016. Despite some of the economic problems in the country, credit access in St. Lucia has improved quite a bit and is providing some unexpected benefits. Within the last 10 years, there has been a steady increase of credit unions on the island. These credit unions focus on comprehensive access to savings and checkings accounts, privatized loans and financial guidance for median and lower income groups. Currently, there are 16 credit unions in St. Lucia, a considerable increase from the 12 credit unions it had in 2009.
Credit unions have gained popularity in geographical locations with smaller population sizes and higher poverty levels primarily because credit unions operate as nonprofit co-operatives rather than corporate banking companies which may have higher interest fees and rates. Credit unions are also known to take a more community-based and humanitarian approach in order to best serve customers. The World Council of Credit Unions last published a report outlining statistics on global credit unions and financial cooperatives in 2017. In 2017, 95,988 St. Lucians were members of a credit union, with market penetration at 75.81 percent. This shows an increase in market penetration of almost 24 percent from 2016 when only 92,133 St. Lucians were members and market penetration was at 52.04 percent. Credit access in St. Lucia is continuing to attract those seeking financial opportunity and achievement, especially college-bound students. Thanks to credit unions, students are now able to take out more competitive loans. Access to credit is not only beneficial on an individual level; there is a direct correlation between the use of credit and the growth of a nation’s economy. With credit, it is possible to spend money while knowing no direct payment is required upfront, but rather, must be made later in time. This encourages consumers to spend more money because it is, in theory, available. This effect can be seen when comparing St. Lucia’s current GDP (PPP), or purchasing power parity, of $2.542 billion to that of $2.388 billion in 2016. 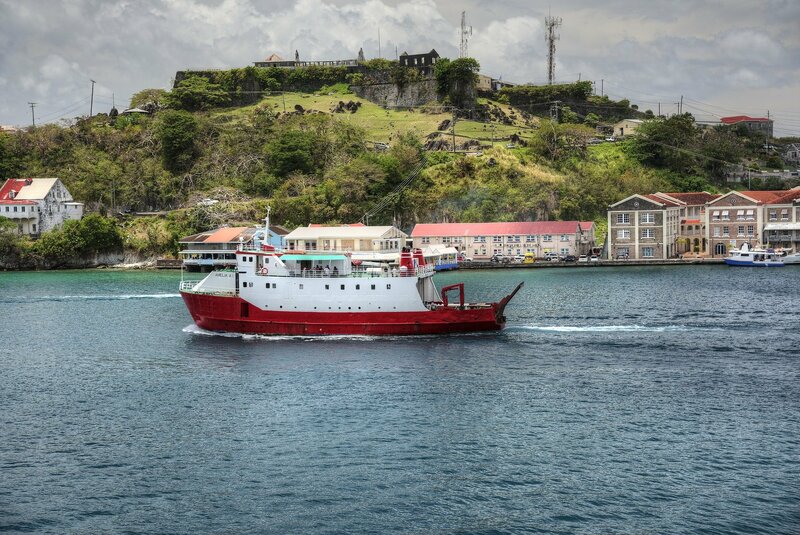 The 2019 Index of Economic Freedom highlights St. Lucia’s economic advancements, ranking the small island at 38 globally in economic freedom. From 2018, this score increased by 1.1 percent with marked improvements in fiscal health and government spending. Credit access is helping the economy as well as the people. Increased credit access results in increased economic opportunity across various sectors. For example, as credit access in St. Lucia has become well-regulated and stabilized, government officials have shifted their focus from accessible individual credit access to the process of acquiring larger amounts of credit to finance renewable energy solutions. In 2014, the government of St. Lucia set a goal to reach 35 percent in renewable energy market penetration and achieve a 20 percent reduction in consumption in the public sector by 2020. This goal is not on schedule partly due to Hurricane Tomas and the restraints brought on by the limitations of the island. However, credit access in St. Lucia for renewable sources of energy will have massive benefits for the economy. In 2017, St. Lucia Electricity Services Limited, the Clinton Foundation and the government of St. Lucia paired with the Rocky Mountain Institute to publish an executive summary outlining a national energy transition strategy and integrated resource plan. The summary found that the total cost to operate renewable energies was much cheaper than traditional diesel fuel and natural gas methods and would, in turn, reduce electricity prices on the island and regulate energy sectors. For example, while diesel fuel and natural gas would have a 0 percent renewable penetration rate by 2025, hybrid ownership of solar energy would have roughly a 33 percent renewable penetration rate. With a slow shift towards renewable energy, the authors’ prediction showed a 40 percent decrease in carbon emissions by 2025. Residents and companies alike in St. Lucia would be pleased to see reductions in electricity prices, while the tourism and travel industry would directly benefit from environmental initiatives since visitors are attracted to the pristine and untouched natural beauty of the island. This year, elected representatives from St. Lucia will attend the 2019 World Credit Union Conference, hosted in the Bahamas by the Caribbean Confederation of Credit Unions, where renewable energy solutions are among the main agenda items. Credit access in St. Lucia has opened the door to numberless opportunities and paved the road to a bright future for the island nation. An Economic Question: Why are Russians Still Driving Lada?